AN ABERDEEN-based apprenticeship-training company has introduced a bespoke training course to enhance the practical knowledge of future engineers. ITCA Training based in the city’s York Street has recently seen another learner complete the eight-week hand skills training course as part of a clients graduate scheme. 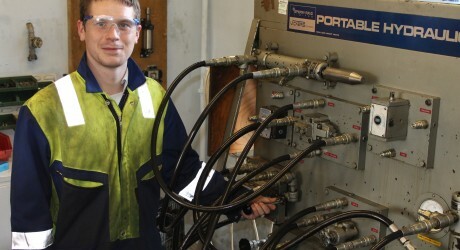 The training centre, which is one of Scotland’s largest engineering apprenticeship-training firms was approached by ACE Winches to deliver a bespoke course in order to offer graduates practical, hands on experience in welding, fitting and assembly, electrical, pneumatics, hydraulics and health and safety.